Within the international development community, there is a growing interest in the role that design can play in solving poverty and injustice. So here’s something to consider: If design is the current trend in solving social problems abroad, what’s a current, glaring social problem close to home to which we could apply it? How about the one Thomas B. Edsall writes about in his New York Times op-ed, “Ferguson, Watts and a Dream Deferred“? The title, a reference to Langston Hughes’ famous poem “Harlem,” points to the fact that, after all the promise of the 1960s, black people have suffered over 40 years of social and economic setbacks. And as Ferguson, Missouri, and countless events since have shown us, a dream deferred eventually explodes. Edsall suggests that at the time of the 1965 Watts riots, African Americans could feel that their voices were being heard—by a government that, unlike our present one, was not so caught up in its own politics that it couldn’t act on behalf of its people. The Civil Rights Act of 1964 outlawed discrimination, and the Voting Rights Act of 1965 prohibited racial discrimination in voting, both of which had enormous impact on the social and economic status of black people. But in many respects, blacks have seen little to no progress in the intervening 40 years. In fact, many of the challenges they face seem to have gotten worse. Black communities were hit harder by the great recession in 2008, and in addition to having lower average household incomes than white families, they are less likely to see economic improvements. Methods for fighting poverty and injustice in other countries are well documented and frequently debated—market creation, robust charity efforts, well-funded programs like the Gates Foundation. But their models are based on the governments, environments, cultures, and economies of countries other than our own. Our American identity—and our adherence to the frayed promise of the American Dream—has largely blinded us to extreme poverty and social injustice here at home. How then to address those things? This is where social design might be helpful. While its widespread adoption by business schools and multinational companies has produced many customized variations of the process, the essential phases are inevitably the same: understand the context, define the problem, create ideas, prototype solutions, and implement the ones that work. Successful implementation of any process, however, comes not from simply knowing the steps but from the internalization of skills and values that provide deep understanding of the issues and potentialities. Here are some core social design principles that, while in short supply within our current government, could go a long way toward addressing the issues Edsall highlights. Detach from personal agendas and expectations. Personal and institutional agendas impair vision and understanding. Clinging to a preconceived notion of how things are prevents us from seeing a reality. Yes, ambiguity is scary. But the ability to live without knowing the answer is one of the exquisite joys and pains of the creative process. This phase of the design framework is often called “immersion” because it is exactly like being immersed in the lives and worlds of those whom we are trying to help. It does not mean becoming one of them or entering as an expert intent on applying solutions that worked somewhere else. Though it sounds simplistic, it’s actually quite difficult to do and takes practice. But it is the only way to come to an understanding of the current reality—the first and most important principle for any sustainable change that involves human beings. Social design is based on finding the right question to ask, rather than looking for the best person to blame (as is to often the case in government). Getting beyond the symptoms to the root cause of issues takes time and a willingness to learn. Paul Polak, who has brought more than 20 million people out of poverty (outside of the U.S.) has a rare technique for learning: He simply asks poor people why they are poor. He says they inevitably know. Use the creative process to heal. Social-impact design is based on collective creativity—leading a community to the creation of its own solutions. This is the opposite of the traditional outside expert who develops and delivers pre-determined solutions: It involves facilitating the emergence of ideas from within the community itself. This leads to answers that are far more likely to be relevant and sustainable. Equally important, the collective creative process itself changes people in a lasting way. They learn to clarify and align on vision and purpose. They communicate and develop relationships; they learn to experiment, identify new ideas, navigate uncertainty, and to operate within constraints by focusing on what they have rather than what they do not. They learn to live in the present and develop a sense of fulfillment and self-reliance. Toss the five-year plan. By their very nature, long-range plans attempt to predict the future when the real goal should be on creating it. Just look at how quickly lean startup methodology—the exact opposite of long-term planning—has swept the business world. One way to think about social design is as a process for making the things we dream about real, whether they are dreams of progress, money, family, or social justice. When design has been proven effective in solving problems of poverty in other countries, why would we not try it here? This article was published on Unreasonable.Is. It has been republished here to inspire further conversation. 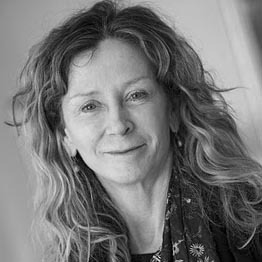 Cheryl Heller is the Founding Chair of the first MFA program in Design for Social Innovation at SVA, founder of design lab CommonWise, and a pioneer in social impact design. Cheryl received the AIGA medal for her contribution to the field of design in 2014. She is the former Board Chair and founding faculty for the PopTech Social Innovation Fellows, a Senior Fellow at Babson Social Innovation Lab. She created the Ideas that Matter program for Sappi, which has given almost $13 million to designers working for the public good. Social Design Helped Women Win Equality in Iceland. And So? Forty-three years ago, Icelandic women used social design principles to implement "The Long Friday" strike for gender equity. As Cheryl Heller explains, the past has never felt more present. Through corporate success, betrayal, and reinvention, Cheryl Heller found a new sense of strength in the face of uncertainty—and an understanding of what you just shouldn’t stomach anymore. It wouldn’t really be that hard to save the Amazon. Especially for you. To be passionate about change requires unconquerable optimism, fed by a vision of the better thing ahead.